If you don’t know where you’re going your chances of arriving safely are remote, to say the least. The best place to start is always with your desired outcome in mind. Top achievers invariably visualise the outcome they want before they start. You will benefit greatly from making your visualisation into a moving picture. Add as much colour as possible. Sounds will give your picture an added dimension (personally I like to add lively music and conversations). Make sure you see yourself in the picture; notice what you are doing. You can practice making these movies for everything you do. Outcome movies will improve your results when you’re cooking, playing sports, gardening, writing articles, chairing or participating in meetings, at job interviews, when training your dog or any other of your important activities. Once you have made an outcome movie of anything that is big and important like a work project or career move it helps to write down or draw the picture so that you have it to remind you of the details. Is this really me? Do I feel comfortable with the idea? Do I sincerely believe that I can make it happen? Does it seem credible that I can achieve this, even if I have to move beyond my comfort zone? When I look at the picture of my desired outcome does it make me tingle with excitement? Every outcome needs a strategy by which you will make it into your reality. In the business world such plans can run to thousands of pages. Of course detail can be important when large teams need to be briefed. But the leader needs to keep things simple, he or she needs to be able to work on headlines. In other words don’t sweat the small stuff. By: putting together a team of experts. This will include the following people…. By: inspiring them with my vision. By: Delegating the detail of each part of my plan to an individual expert who will be responsible for ……..
To achieve anything you nearly always need resources. These can include, people, expertise, finance, time, premises, computers, transportation, manufacturing facilities, knowledge, plus whatever else your particular plan needs. Whose Help Do I Need To Ensure That I Achieve My Goal? Human beings are tribal animals, we work better when we enlist the support and help of others. You’ve often heard the expression, “two heads are better than one.” There is a lot of truth in this saying. It makes sense to get second opinions about your objectives and plans. You will benefit by enlisting the expertise of people who have walked down the road that you intend to travel. Your outcome is more likely to be achieved when you seek the expertise of people who either know about or have experience in areas where you are less experienced. Synergy occurs when people with mutually supportive expertise work enthusiastically together towards an inspiring goal. With synergy you will get a better result, and you will get it more quickly. When Will I Achieve My Outcome? Working towards deadlines focuses effort. When a deadline is not clearly defined, and it’s importance is not explained, people find it easy to allow themselves to become distracted. Deadlines allow for more efficient use of resources. Slipped deadlines cost money. Deadlines should be negotiated with and agreed by all team leaders. Even if you are the only one involved in the achievement of your goal you should still work towards a deadline. In the business world people do not ask this question sufficiently often. It also has great value for individuals in everyday life. Ask yourself “why am I doing this?” and “why is it important?” then answer your questions positively. This will clarify your sense of purpose and strengthen your motivation. When you work solely for your own selfish ends motivation can wane remarkably quickly, but when others benefit from your outcome you will find that your motivation is often much stronger. 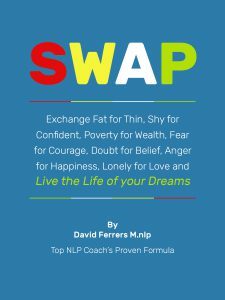 This article is based on proven formulas contained in the new bestseller SWAP: “simple ideas to inspire you to transform yourself from stressed, anxious and unhappy to relaxed, positive and happy.” SWAP expands on the principles in this article to make your most important goals achievable. 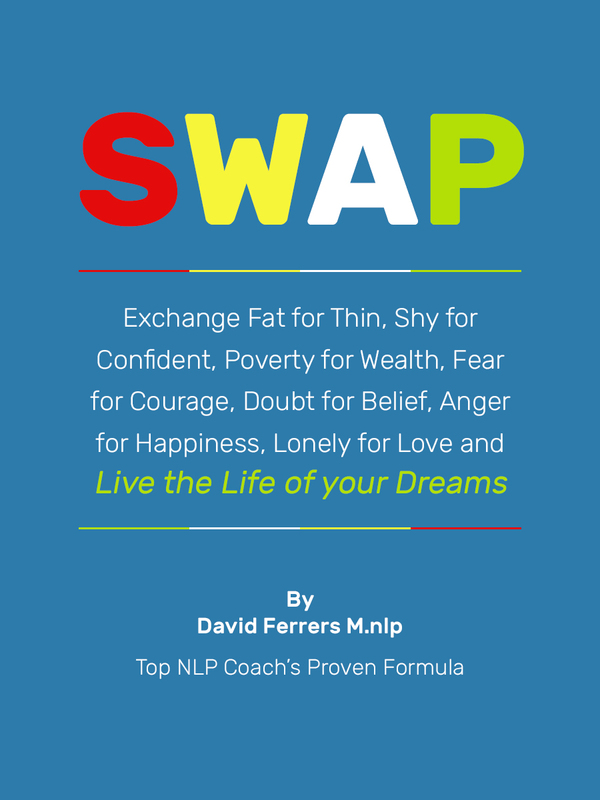 This invaluable book is available in paperback or Kindle editions from Amazon.